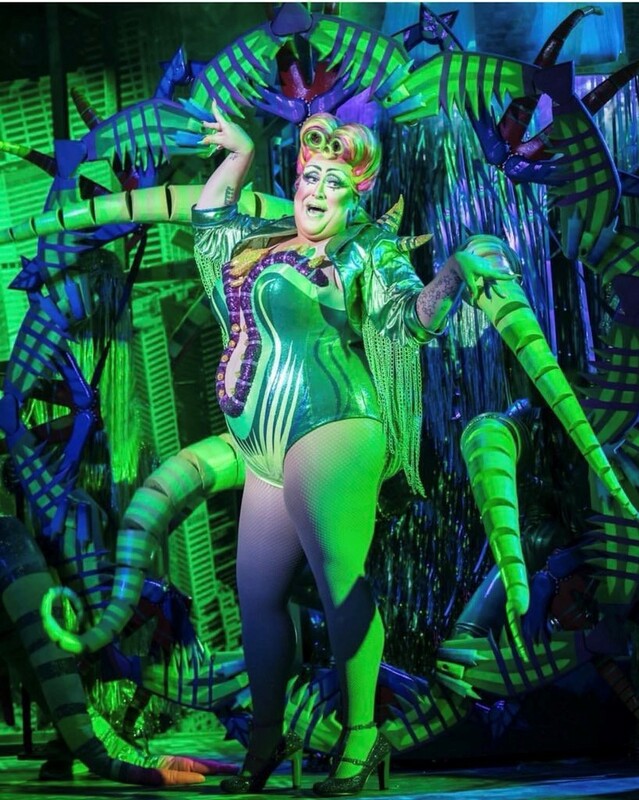 First performed Off-Broadway in 1982, Little Shop of Horrors has gone on to become one of the most performed musicals of all time. Composed by Alan Menken and written by Howard Ashman, it tells the story of Seymour, a hapless florist shop worker who raises a plant that feeds on humans. 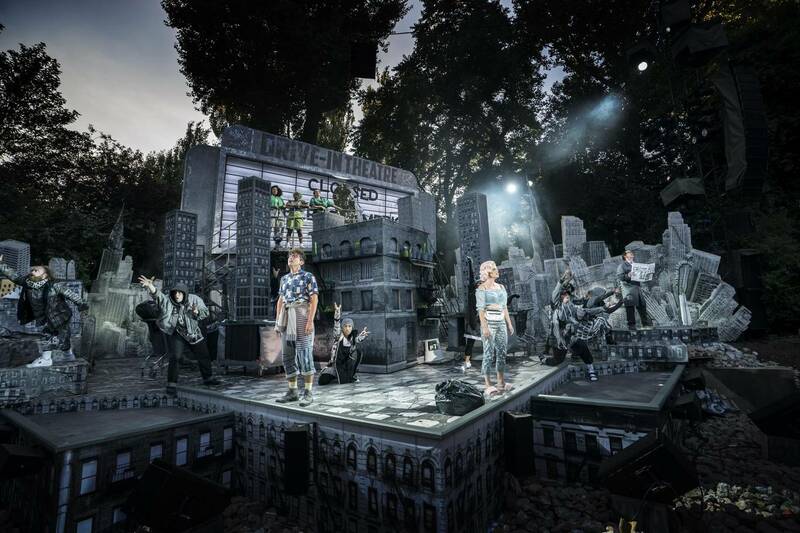 Following numerous West End and Broadway runs, the musical is now the final show in the current Regent’s Park Open Air Theatre Season; a season for which White Light has supplied the entire lighting equipment. The Lighting Designer for this production is Howard Hudson, who also lit last season’s On the Town. He comments: “I’ve never seen Little Shop before but have absolutely loved the now iconic soundtrack for years. Having not seen any of the many previous versions meant that I was able to approach the show with a completely fresh perspective. In the build up to the show, we went to visit the Ben Kelly exhibition ‘Ruin’ at 180 The Strand which was a great source of visual ideas. I also watched quite a few B movies from the 50s and 60s which were helpful as another visual key into the world in which the musical is set”. Part of Howard’s brief was to work closely with Designer Tom Scutt’s set. Howard comments: “The set is very monochromatic, with most of its surfaces being a black and white print of New York buildings jumbled together at all different scales. So this was our ‘base’ world referencing a more monochromatic filmic visual language. As the plant starts to grow and take over the story and the space, the world gets more and more green – ultimately arriving at a highly saturated, more angular, green environment (a little like pouring a can of green paint over everything). The cinema billboard at the back was hugely useful to introduce a block of colour as a background for particular moments acting like a cyc. And, of course, the trees which surround the stage were also useful as a backdrop to suggest ‘Somewhere That’s Green’ which Audrey yearns for and sings about”. Howard liaised with WL to draw on the fixtures needed for his design. The rig consisted of VL3500 Washes, Martin MAC Viper Performances, Clay Paky Mythos 2s, Martin MAC IIIs and a range of LED tape. 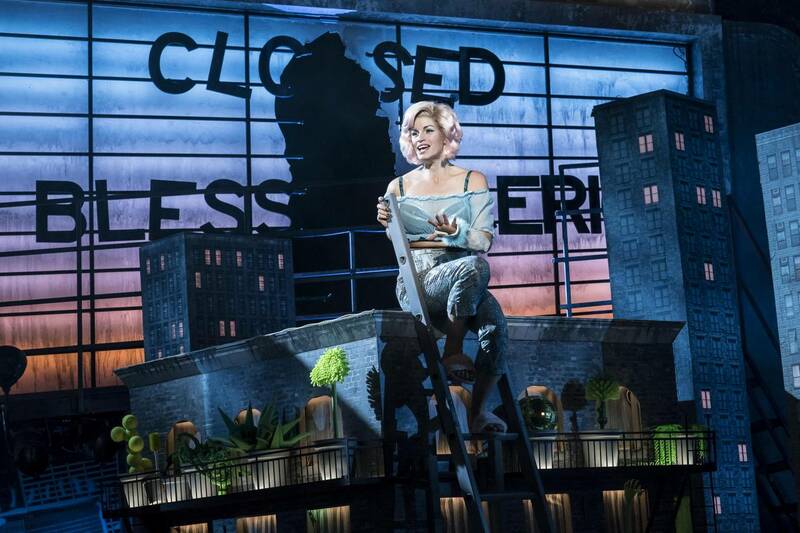 Howard comments: “The actual little shop itself has a mini lighting rig in its roof, complete with DJ-style LED spinning balls, smoke, fans, lots of LED fixtures and LED tape. This took some lengthy planning as it is required to track up and downstage, revolve as well as be stood on top of and house the plant. The show also had a huge amount of LED tape for the set elements; all of which had to withstand the frequent torrential downpour(s)”. As the Open Air Theatre is a completely outdoor space, this meant that Howard’s approach to Little Shop of Horrors differed to how he’d traditionally light a show. He explains: “The most vital part I’ve found with working outside is having your cue structure worked out in as much detail as possible prior to tech. So even if you’re teching in incorrect day light conditions (as is most often the case), you can rough in cues to at least have some lights you hope pointing in the right place. And then the tech sessions themselves are often like putting a blindfold on: you concentrate more on working with the DSM who is calling imaginary cues that don’t do anything with lights that aren’t on! It’s only when you have the first dress rehearsal that you see all your guesswork for the first time in the right light – and you spend most of that praying the lights come up in the right places at the right time in the right colour and at the right level! After each tech and preview, we will work until 2:30am in order to take advantage of the darkness. So we also work live over the previews which is gold-dust in terms of lighting time”. The show has now opened to critical acclaim achieving five stars from the Financial Times, WhatsOnStage, The Times and the Daily Express, with other critics claiming ‘You’d be mad to miss this uplifting revival’ (The Independent) and ‘a triumphant production’ (The Evening Standard). It has also announced an extension until September 22nd. Howard concludes: “It’s been amazing returning to Regent’s Park and working with WL once again on what’s an incredibly loud and fun show. I also want to thank Adam Squire, Joe Kirk and their utterly brilliant team along with Vic Brennan who programmed expertly as ever”.